You would be hard pressed to find two more epic Tour de France climbs than Alpe d’Huez and Mont Ventoux in the same cycling tour, given their distinct personalities. Alpe d’Huez is in the middle of the high Alps, surrounded by other famous (and beautiful) cols. It is high-mountain riding at its best. 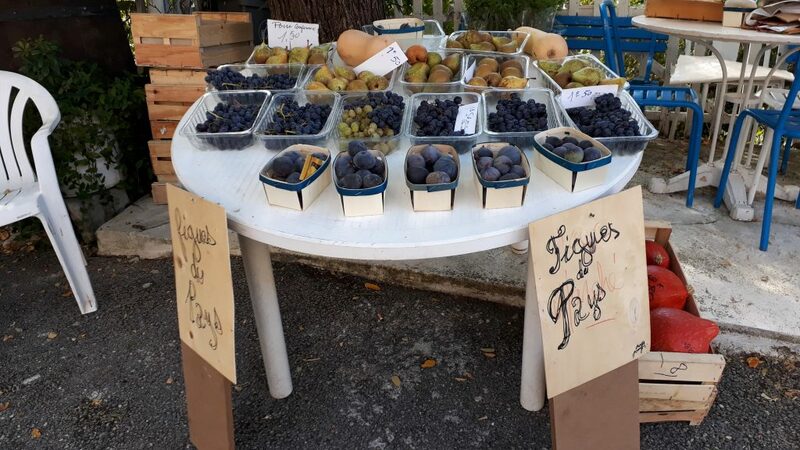 Contrasted to this, Mont Ventoux is located in sun-kissed Provence, surrounded by lavender fields, lovely laid-back villages, and endless vineyard roads. The combination makes a perfect cycling experience that allows you to enjoy two of France’s most stunning and varied areas to ride. Your HighRoad Alpe d’Huez – Mont Ventoux Bike Tour has two ‘bases’: one on top of Alpe d’Huez and the other at the foot of Mont Ventoux, in comfortable 3 and 4 star hotels perfectly positioned for the best riding the areas have to offer. 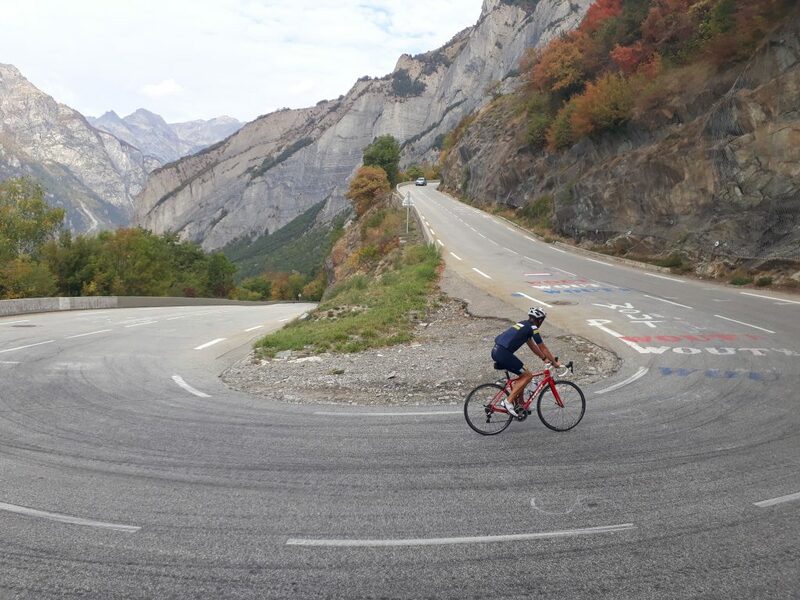 A typical day on your Alpe d’Huez-Ventoux cycling tour begins with a healthy buffet breakfast, followed by a ride in one of these two distinct and gorgeous regions. Most rides will end back at your hotel for a post-effort lunch. However, on longer days in the saddle (Day 4 and 7 for example) it will be a light lunch on the road. You will always have a few hours in the afternoon to relax and explore your surroundings before we meet for a dinner of delicious local fare. 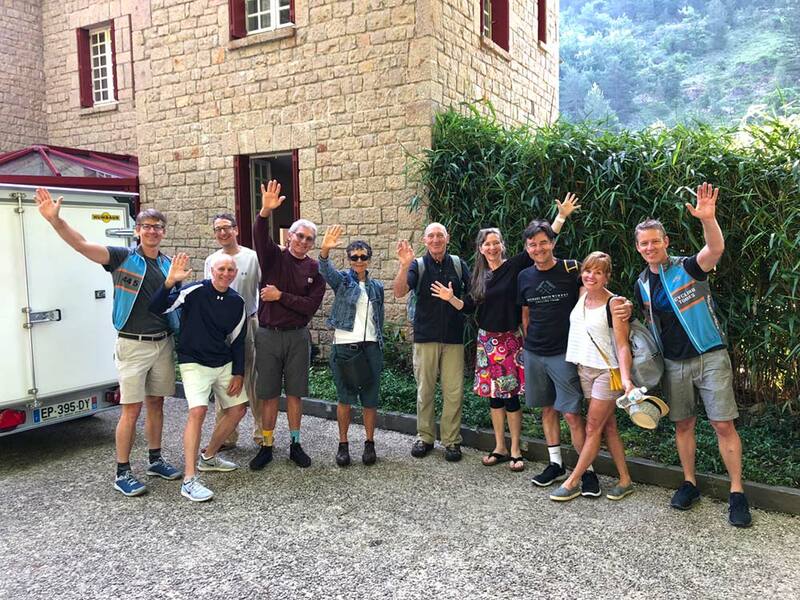 Your guided cycling tour begins at Lyon airport, where we will pick you up and transport you to Les Grandes Rousses, our 4-star hotel on Alpe d’Huez. After setting up your bikes and taking a “shake-out” spin, we will have a ‘welcome dinner’ in the hotel restaurant and talk about the amazing rides to come. Ride: Col de la Croix de Fer / Col du Glandon. Approximately 76 km and 1800 m of ascent. 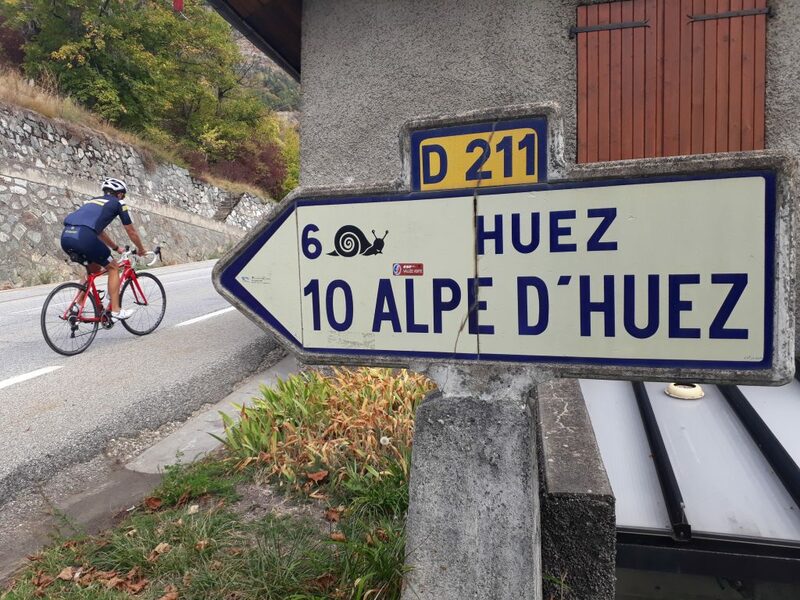 Our first ride takes us across the quiet ‘balcony road’ to the west of Alpe d’Huez before descending to the Barrage du Verney, where we begin to climb our first big col. 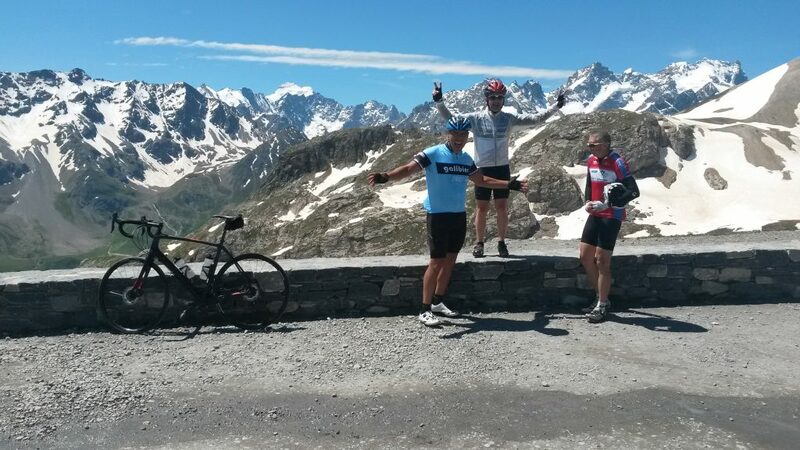 The ride up to the Col de la Croix de Fer is long, with some steep stretches, but the views that hit you once you exit into the high alpine meadows near the top are more than worth the effort. The Col du Glandon is a short jog off the main climb, with magnificent views down into the Maurienne Valley. The first part of our ride today traces Stage 14 of the 2015 Tour de France. The optional ’Les Vignes’ climbwas immortalized in Tim Krabbé’s classic cycling novel, The Rider. Ride: Alpe d’Huez. Approximately 50 km and 1800 m of ascent. 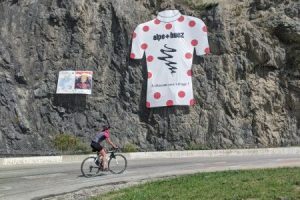 A Tour de France victory on Alpe d’Huez immortalizes a pro cyclist, as is evidenced by the names of its conquerors on each and every 21 hairpin turn. You will be following in the pedal strokes of Fausto Coppi, Bernard Hinault and Iban Mayo on The Alpe, but before we get to it you have a wonderfully-scenic ride along the ‘eastern balcony’, before descending down to the valley floor where the climb of Alpe d’Huez begins. Ride: Col du Lautaret, Col du Galibier. Approximately 108 km and 2300 m of ascent. 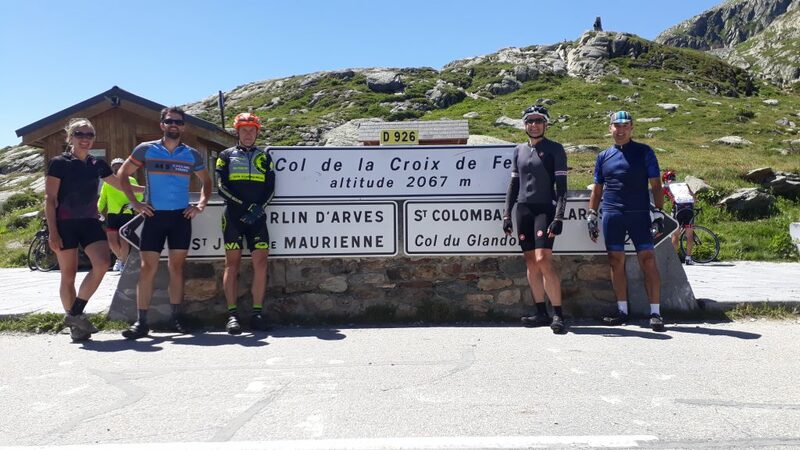 Today’s ride takes you deep into the history of the Tour de France, climbing two cols that have been mainstays of Le Tour since 1911. The Col du Galibier is also one of the highest passes in the Alps (2645 m) and the highest ever stage finish in the Tour de France (in 2011). Transfer to Provence and Afternoon Ride. Approximately 40 km and 600 m of ascent. After transferring from the Alps to our charming Provençal hotel in Malaucène, we’ll head into the hills north of Mont Ventoux. Here you’ll experience real backcountry riding on deserted roads that lead to hidden villages. Often overlooked, this area will have you begging to come back and explore further. Ride: Mont Ventoux. Approximately 74 km and 2000 m of ascent. 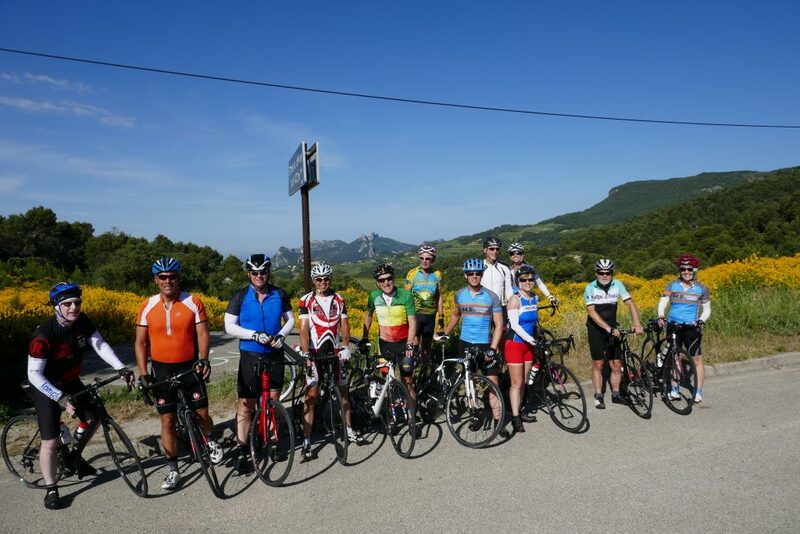 After a scenic warm-up ride through the picturesque Dentelles Mountains we will attack Mont Ventoux from the cycling-mad village of Bédoin, just like the Tour de France pros do. This monumental climb is everything you will have hoped for and more. Rie: Le Geant Loop. Approximately 100 km and 1600 m of ascent. 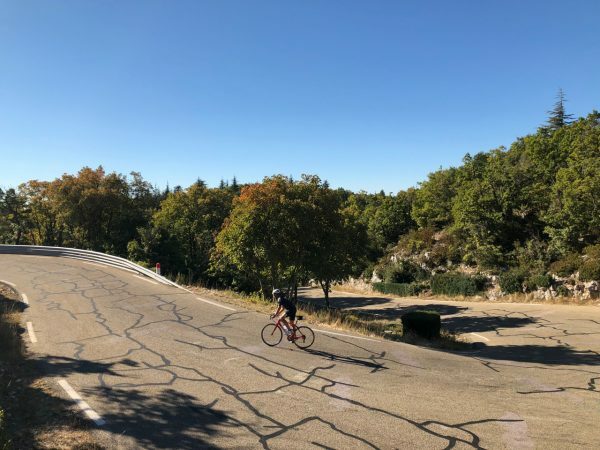 On our shortlist of favorite rides in the area, this long loop around the base of Mont Ventoux is one of the most varied hundred kilometers you will ever ride. Highlights include stunning gorges, lush lavender fields, hilltop villages and stunning perspectives of Le Geant de Provence from all sides. A perfect way to finish off a fantastic tour. Morning transfers to Marseille Airport for your connection home. 44|5 has chosen your accommodation for the best mix of comfort, cycling services and ride availability. You’re always within walking distance of village centers, restaurants, bike shops and other necessities. Additional services such as massages can be easily arranged. 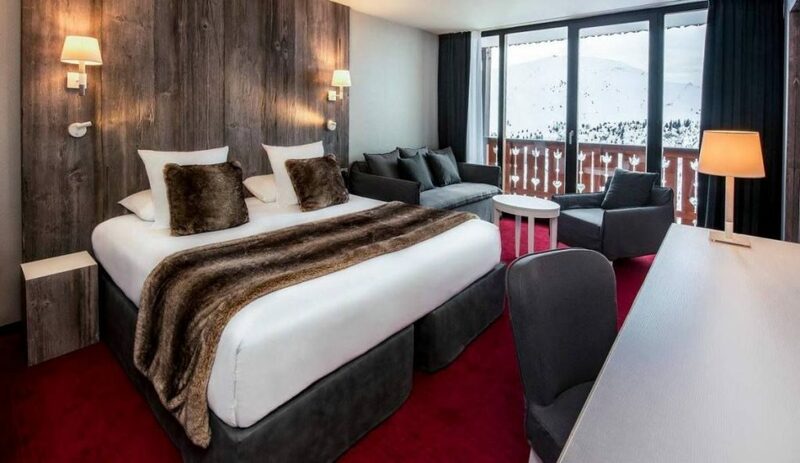 Situated down the road from the Tour de France finish line of Alpe d’Huez, our 4-star pick for The Alpe has the perfect mix of comfort and amenities to ease you into your HighRoad Northern Alps tour. 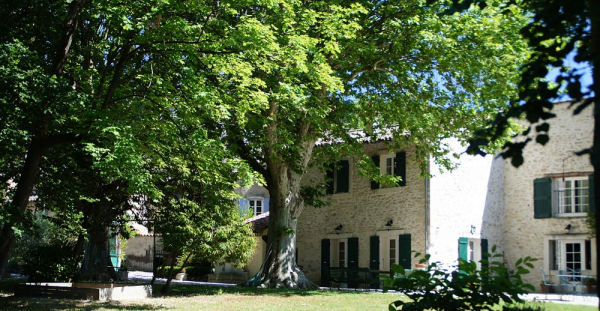 This former silk farm is situated at the beginning of the northern climb of Mont Ventoux, on the edge of the village of Malaucène. 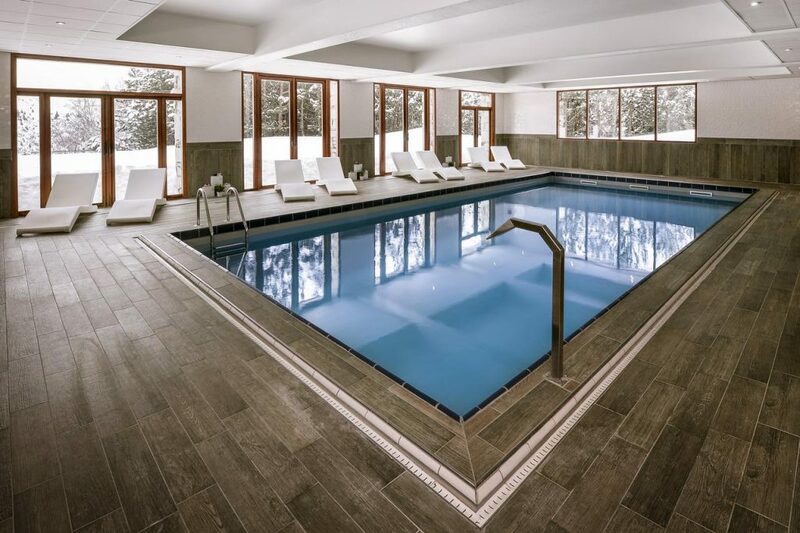 Charming on the inside as well as the outside, the hotel grounds include a beautiful garden with shade trees and relaxing outdoor pool area. Domaine des Tilleuls has welcomed many cycling legends over the years, including Eddy Merckx. If this tour isn’t what you are looking for our HighRoad Northern Alps begins in Alpe d’Huez and travels north, finishing on beautiful Lake Annecy.